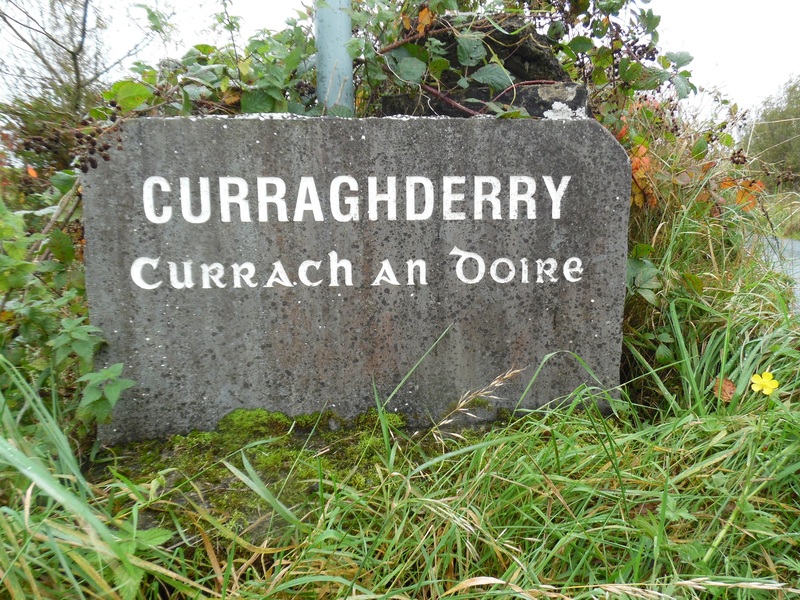 There is a children’s burial ground and an enclosure in Curraghaderry. The enclosure is situated in undulating grassland overlooking bogland to the south east. A subrectangular enclosure is marked on the 3rd edition of the OS 6-inch map where it shows that it is cut by a road at the north. An earthen bank is visible from west to north-west. There is also an enclosing element that has been levelled. There is a children’s burial ground within the interior. The children’s burial ground is located in within the west section of an enclosure. A raised D shaped area is enclosed along the west side by the bank of the surrounding enclosure. There are some rectangular graves visible. This page was added on 10/02/2015.